20 Cogs is a new and unique website which says you can get paid on average £200+ by simply completing offers or signing up for competitions and surveys. 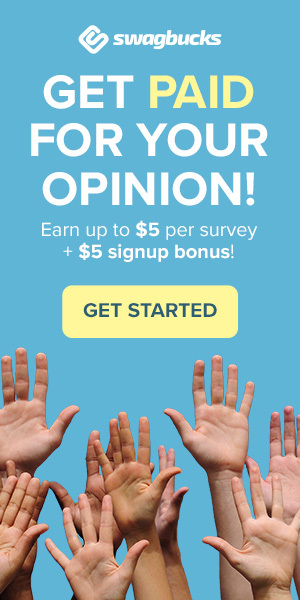 Get £5 free by signing up here! The registration process is quick, free and easy. They only require your name and email address or you can sign up with Facebook. Once you have registered you need to confirm your email address to get started. The idea behind the 20 Cogs site is very simple. Once you have registered with them you are presented with various free offers, surveys, free trials and website registrations. On the site is a box with 20 Cogs. (hence the name) You must work through and complete each one before moving to the next cog. When you complete an offer the cog will chance to amber to show it is pending verification and you can move onto the next. If you do not want to complete an offer you can skip it and move to an alternative one at any time. What Kind of Offers Are on 20Cogs? – Competition entries: These are easy simply fill in your details to be in with a chance of winning prizes. – Survey sites – Registering with various survey panels. – Free trials – This could include online TV, credit reports and apps. – Gaming websites – Registering with free / paid gaming or casino sites. Some casino websites may require you to make a deposit in order to complete the offer. You may win on the casino from this deposit but if you don’t it will reduce your total earnings. After you complete an offer the 20 Cogs website ears a commission and shares part of the commission with you which is where the money comes from. They do offer a really good referral scheme where by referring your friends and family you are paid 5% of anything they earn. This could work out to be a nice commission for you if each of your friends earns £200 you would earn an extra £10 off each person! Once you complete all the offers and they have all turned green you can request your payment. This can be sent straight to your bank or via Paypal. It has been reported that most people have received their payment within 12 – 24 hours. According to reviews online the customer support at this website is second to none. Any query’s that are submitted are dealt with quickly. According to various reports if any offers are not confirmed within the correct time frame then these problems are dealt with. Read the Terms and Conditions Carefully! Some offers do require you to enter your credit/debit card details or make a deposit so you should make sure that if you don’t actually want to keep an offer after the free trial is over then you read the terms and conditions carefully or you may be charged later for something you didn’t actually want. For example one of the offers gives you a free activity box for your kids. After the free box you are sent a fortnightly box at a cost of £3.95 + 98p postage. If you don’t cancel you will automatically be charged and sent the next box. It will help if you keep notes or a screenshot when completing each offer so you can refer back to it and contact their support if you need too. Some offers / cashback websites similar to 20 Cogs do have very bad reputations as they try to hold onto people’s money or do not ever confirm offers making them nothing but a scam. However it appears that 20 Cogs is definitely the exception to this rule. Although it could take a number of months to complete all the offers this website has a great reputation, sends fast payments and provides excellent customer support. To earn some easy extra money in your spare time 20 Cogs is definitely an offers site that we would highly recommend. Join here today to get an exclusive £5 welcome bonus added straight into your account to get you started! No there is no time limit on how long you take to complete the offers. I signed up for this the other day and completed some surveys etc. but have now cancelled as I had a phone call the other day supposedly from Euro Millions to give me 10 free lines for this Friday. He wanted my bank account details to continue to play monthly for £39 but I stopped him there and didn’t go ahead with it as I wasn’t comfortable with giving out my bank details. Thing is, he knew my DOB, full name and address already as he asked me to confirm it, and now I’m worried about identity theft. He was very plausible at first. He told me his name was Alex Williams, phone number 0203 000 7642 – email: support@onlinelottos.co.uk. I can only think he got my details somehow through an affiliate with 20cogs or UKmysteryshopper as they were the ones I signed up with. brilliant. thanks for sharing the feedback. It’s a shame how we give our Private information so freely these days and how Companies misuse our Identity with Free online money first and then bla bla bla. I’m having that same problem, I signed up for a 1pound lottery ticket and it has just signed me up for a subscription and is now taking 20 pound a week off me, how do you cancel it? You’re probably best to contact them if you are having difficulty logging in!